We’re thinking sun, sea, suncream and the occasional poolside meltdown already, and oh boy we can’t wait! 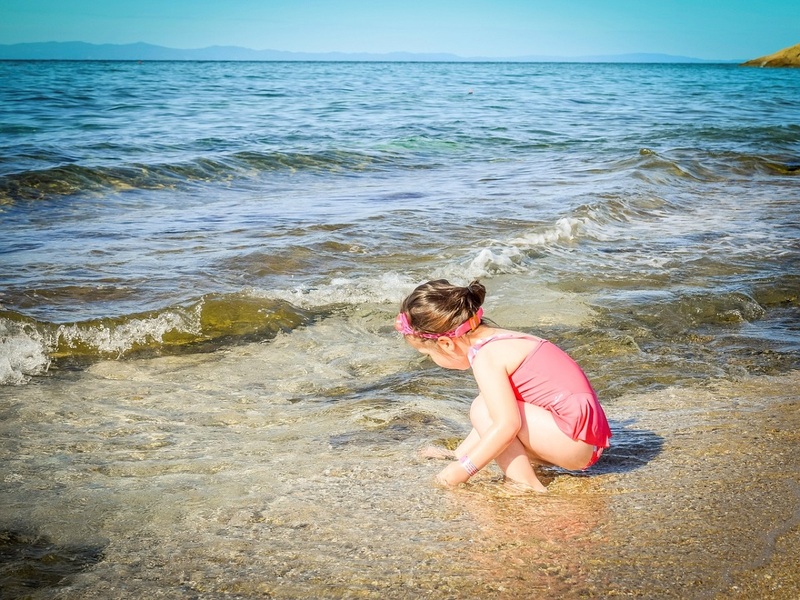 If you’re looking to book a family holiday next year, and maybe you’re looking for that something extra special, then grab a sangria, put your feet up and have a look at our recommendations below for great holidays with kids. Once you’ve got that trip booked you’ll need to make sure you pack all the bits needed to keep the holiday as fun and stress free as possible. Why not check out our guide to travelling with kids here. Beautiful beaches, Mickey Mouse, water parks, great eating out, and some of the best theme parks in the World. What’s not to love about Florida as a family destination. There’s so much to do and see on a Disney break, and you’ll leave with memories to last a life time. 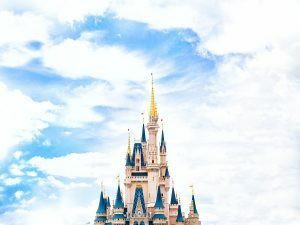 While you’re there don’t miss; Walt Disney World with over 100 amazing family attractions, unbeatable water parks Typhoon Lagoon and Blizzard Beach, Movies Under the Stars, bike rental, and grab a bite to eat at one of the character dining restaurants at the park. Hotel-wise you’ll really be spoilt for choice, and may not want to come home! With many home comforts, themed rooms and hotels and loads to keep the kiddies, and adults, entertained, Disney sure knows how to make your stay perfect. We really love the look of; Disney’s Animal Kingdom Lodge where a safari adventure awaits as you step in to Africa! You can check out the Disney hotels here. There are great family holiday options through TUI for Florida, click here to book and make your children’s dreams come true. New York, New York, so good they named it twice, and it’s certainly a favourite destination here at Little Ankle Biters HQ. And don’t be fooled into thinking this is an adults only getaway. There’s so much for families to do in New York with a great range of hotels to choose from. There’s sight seeing that will blow their minds from the Statue of Liberty to Brooklyn Bridge to the Empire State Building. And coming in 2018 is the New York Wheel, a 600ft London Eye style wheel guaranteed to give breath-taking views. You could pop along to a show on Broadway, or why not take them to a ball game at the Yankee Stadium. Not forgetting Central Park, 843 acres of idyllic parkland in the middle of New York. There’s so much for families to do here, our top picks include; taking a horse and carriage tour, visiting Central Park Zoo, renting a bike or boating on Conservatory Water. Food-wise you’ll be totally spoilt for choice. We love Bubba Gump in Times Square for keeping the kiddies entertained, but there really is something for everyone. 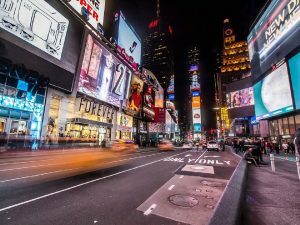 To check out some great deals to the city that never sleeps, click here. You can also read our review of a recent family trip to New York, click here. Cyprus is a personal favourite of ours. With a great climate, friendly locals and loads to keep families entertained, it’s easy to see why British holiday-makers flock here every year. The Paphos and Coral Bay area on the west coast of the Island are a great destination for families. You’ll be spoilt for choice with luxurious all inclusive hotel resorts or you can go for a self-catering villa where you’ll find great supermarkets to stock the fridge and a huge choice of restaurants in Paphos which cater very well for children. While you’re there don’t miss; water sports on the Blue Flag Coral Bay Beach, a visit to the Aphrodite Water Park, and Pafos Zoo. To book your family holiday to Cyprus, click here. The Canary Islands are a fantastic destination for families due to the abundance of fun activities, great beaches, the huge choice of restaurants and the beautiful weather. Our favourite of the Canaries is Lanzarote off the coast of Africa, and Playa Blanca is a lovely resort on the South West coast great for families. You’ll find a marina for more sophisticated dining and chilling out, or the bustling promenade with loads of choice for families eating out and all the usual gift shops and supermarkets. Head to Playa Dorada beach for water sports and great snorkelling. Or why not take the kiddies to Aqualava Water Park for a day of fun and adventure. A day trip worth booking is heading off to Rancho Texas Lanzarote Park in Puerta Del Carmen. This is a great park with animals, dolphin & sea lion shows, a brilliant splash pad area, and children’s play areas. You’ll be spoilt for choice on the hotel front, with amazing pools, entertainment and food on offer. We love the look of the Princesa Yaiza Suite Hotel Resort, which has Kikoland Play Area for children, and a great selection of pools and restaurants. To book your family holiday to Lanzarote with TUI, click here. If stunning beaches, great day trips taking in local culture, beautiful weather and loads of choice for eating out sounds like your dream family break, then Mexico is your baby. It’s certainly top of our wish list. 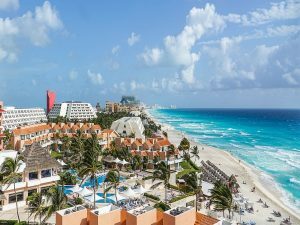 On the Caribbean coast you’ll find Cancun which is a great option if you’re looking for a lively family holiday with loads to do, and also has some pretty impressive nightlife if you manage to get a night out without the kiddies. There’s also a 22km stretch of white sand beach and some top notch hotels offering great entertainment for the kiddies to make your holiday perfect. Click here to find your dream holiday and Mexi-go. 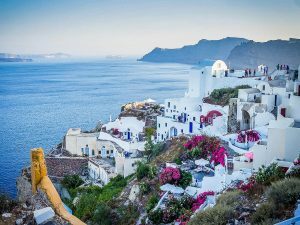 A beautiful family holiday destination and somewhere we keep heading back to, Greece is always popular with families looking to escape the speed and hectic nature of life at home. The locals are friendly and love children, and restaurants cater well for kiddies. Lots of hotels offer all inclusive and are very well set up for families with plenty of activities, pools and entertainment for children of all ages. 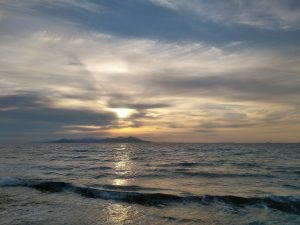 One of our favourite Islands to visit is Kos. Kos Town is picture-perfect Greece, with white washed buildings and gorgeous scented flowers adorning the Old Town. While you’re there make sure you check out the hot springs at Thermes, take a boat trip from Kos Town, visit the stunning mountain village of Zia, and take the kiddies to a waterpark. To find your perfect family holiday to Greece, click here now. 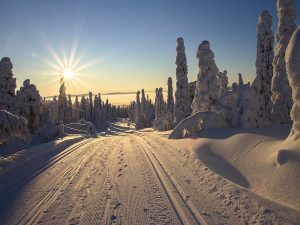 Book your family holiday to Lapland now to get the best rates and hotels before they get snapped up! Christmas may still be fresh in the mind but it’s never to early to plan a trip to Santa’s home! You can make all their Christmas’s come at once with a holiday they’re guaranteed to never forget. These holidays are the stuff of fairytales, think proper snow, log cabins, reindeer, sleigh rides, meeting the Big Man himself, and you may even be lucky enough to spot the Northern Lights. TUI have a great range of holidays offering families an experience of a life time, click here to book yours now. For a holiday that the whole family will never forget, why not have a look at a stunning Safari in South Africa. There are many beautiful family-friendly lodges with activities and clubs to involve children, and South Africa is a great destination for families as it’s malaria free. What could be better than this educational and fun escape, where you’ll get up close and personal with some of the most incredible animals on the planet. 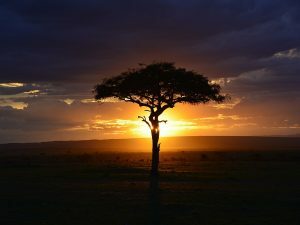 There are also many options to combine your safari holiday with a stunning beach break, or a trip to vibrant Cape Town. To book your family safari with Kuoni, click here. We hope you found this post on family holidays useful. For something closer to home, we have great suggestions for fun things to do with the kiddies in Oxfordshire, click here.